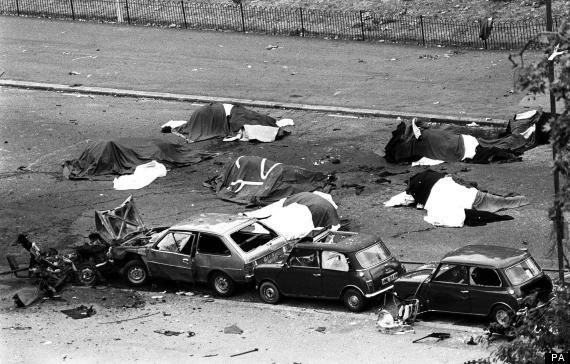 A 61-YEAR-OLD Donegal man appeared in court yesterday charged with the murder of four British soldiers in the IRA Hyde Park bombing of 1982. John Anthony Downey, who is thought to be originally from Co Cavan, was at Westminster Magistrates Court to face four counts of murder and an explosives charge. He is accused of being responsible for a nail bomb left in a car in South Carriage Drive, west London. 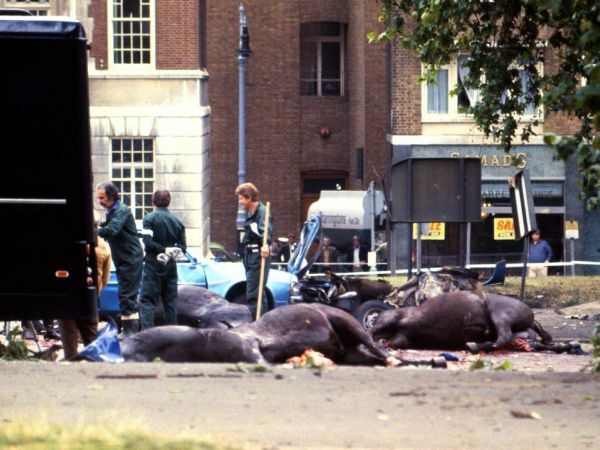 The bomb killed four members of the Royal Household Cavalry as they travelled from their barracks to Buckingham Palace. Mr Downey, a member of Sinn Fein and a so-called on the run (OTR), was arrested at Gatwick Airport on Sunday. British police had wanted to question him about the attack for decades. Sinn Fein assembly member Gerry Kelly yesterday called for his immediate release. During the short hearing, Mr Downey spoke only to confirm his name, date of birth and address. He is charged with murdering Roy John Bright, Dennis Richard Anthony Daly, Simon Andrew Tipper and Geoffrey Vernon Young. 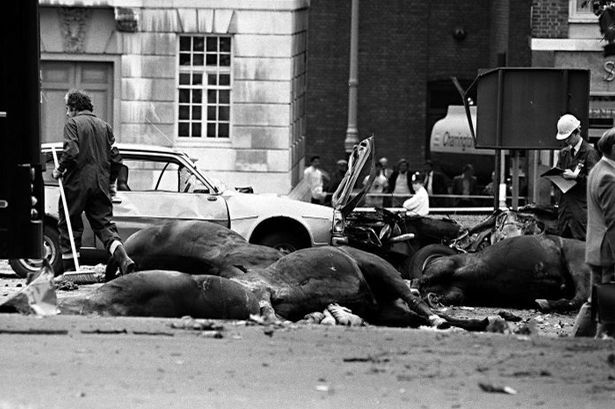 Seven horses were also killed and several police officers and civilians injured in the blast. A second explosion in a Re-gent's Park bandstand on the same day killed seven British army bandsmen. Mr Downey will appear at the Old Bailey tomorrow. Under the Good Friday Agreement, anyone convicted of a paramilitary offence that took place before April 15 1998 can request to be transferred to a prison in Northern Ireland and then apply to be released after serving two years in custody. Mr Kelly said yesterday that Mr Downey was a "long-time supporter of the peace process" and the decision to charge him was "vindictive, unnecessary and unhelpful". "Clearly if John Downey had been arrested and convicted previously he would have been released under the terms of the Good Friday Agreement," Mr Kelly said. "As part of the Weston Park negotiation the British government committed to resolving the position of OTRs. 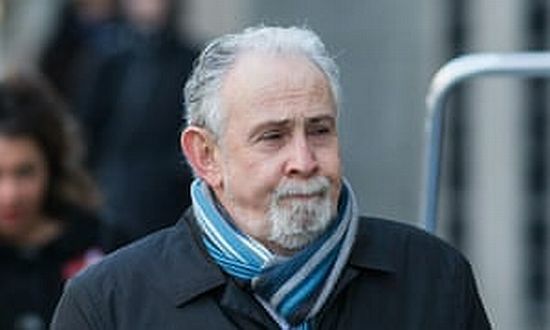 "John Downey received a letter from the NIO in 2007 stating that he was not wanted by the PSNI or any British police force. "Despite travelling to England on many occasions, now, six years on he finds himself before the courts on these historic charges." Unionist politicians hit out at Mr Kelly's comments. Ulster Unionist assembly member Danny Kinahan, who was victim Anthony Daly's best man and attended his funeral, said everyone "must be subject to the rule of law". "It may be politically inconvenient or embarrassing for Sinn Fein when certain individuals are arrested and/or charged with offences but that does not mean that justice should be prevented from being done," he said. DUP MP Nigel Dodds said all crimes, no matter when they were committed, must be investigated. "There can be no mitigation for claims that someone is 'a supporter of the peace process', 'a good republican' or any other phrase which Sinn Fein may care to use," he said. In 1987 electrician Gilbert 'Danny' McNamee, of Crossma-glen in Co Armagh, was jailed for 25 years for making the Hyde Park bomb. He served 12 years before being freed under the Good Friday Agreement and in 1998 his conviction was quashed at the High Court. Although his conviction was deemed unsafe, the three judges found it did not follow he was innocent of the crime.